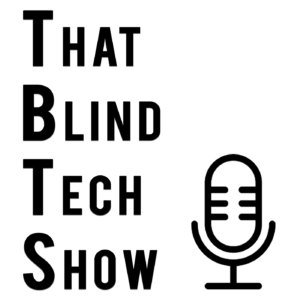 That Blind Tech Show: Depends to Diapers a Royal Flush, And Where is Privacy Headed? Narrator Commanding Attention, Are You Being Tracked? If You Like Things? We Got Things! Brian, Allison and Jeff are in the studio and sifting through the latest news and happenings. From privacy being a thing of the past to seniors being blamed for Fake News, the TBTS get down deep into the bowels of Smart products from C.E.S. and did I mention the Smart Toilets for about 8 grand? Yes, fittingly, that’s where we found them. Oh my, how about Smart Diapers! Smart Home eco-systems? Which one is for you or is it too late? I hear you, and so do most of the Smart Assistant devices as well. So, buckle up for this ride on the That Blind Tech Show Episode 26. And please give a warm welcome to Marlon Parieaho, as he snuck into the studio for a few laughs. Hey, being around Brian and Allison is alright, but give me a break! Right? No worries, it’s all for fun and fun for all! Is your TV tracking you? If you own a Vizio it may be. Hey Siri, Flush the toilet! It’s finally coming! Samsung is launching a wearable Exoskeleton or as we know it Iron Man!